This necklace is so romantic and timeless. 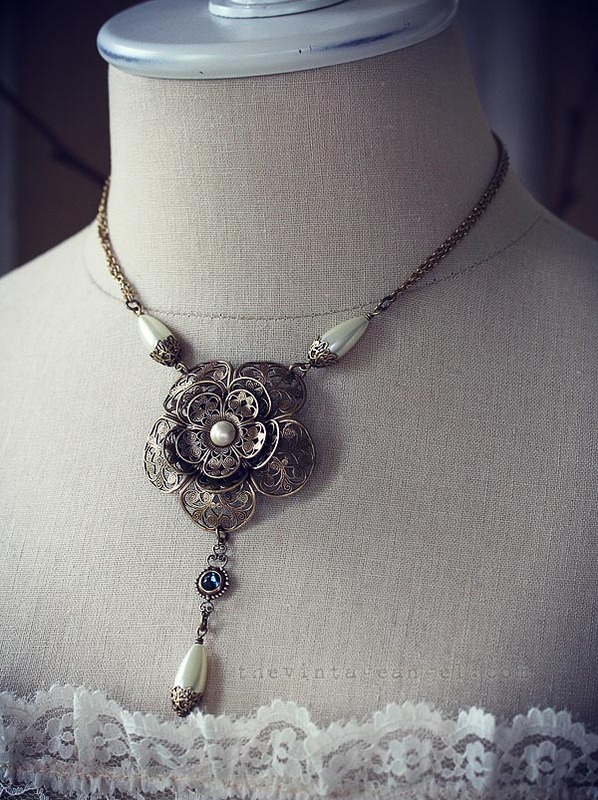 I've layered antiqued, darkened brass filigree flowers for the focal, giving it a creamy glass pearl center. 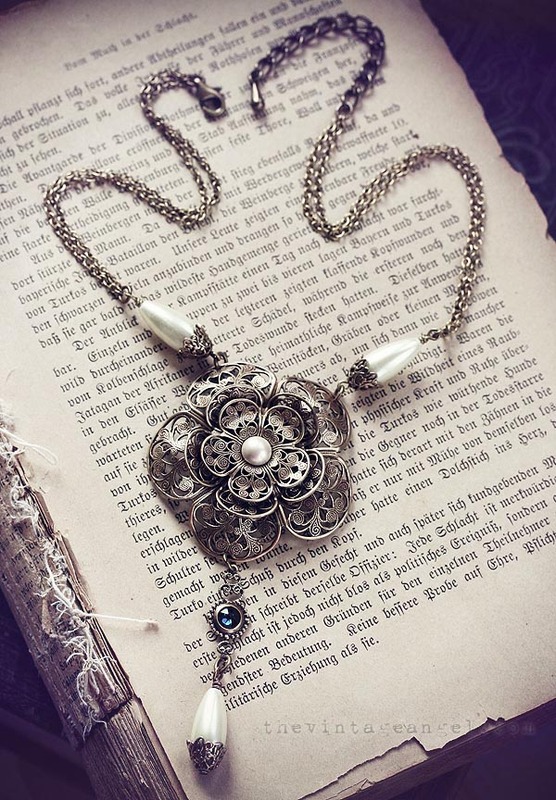 From the flower hangs an ornate, dainty connector that holds a deep blue Swarovski rhinestone. Finally, a creamy pearl drop with an elaborate bead cap adds just the right touch of drama. 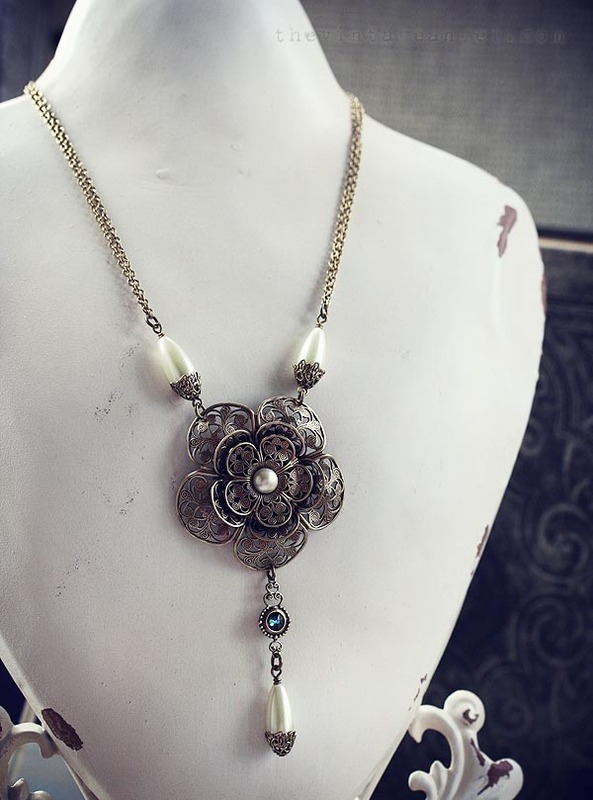 A pearl beaded assembly with more ornate bead caps lead up to the fully adjustable double dainty chain, from 15" - 19" with lobster clasp closure. All metal is American-made brass, free of lead and nickel. Features a double chain that adjusts from 15" - 19" and closes with a lobster clasp at back.